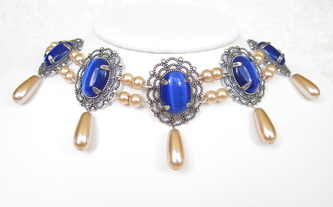 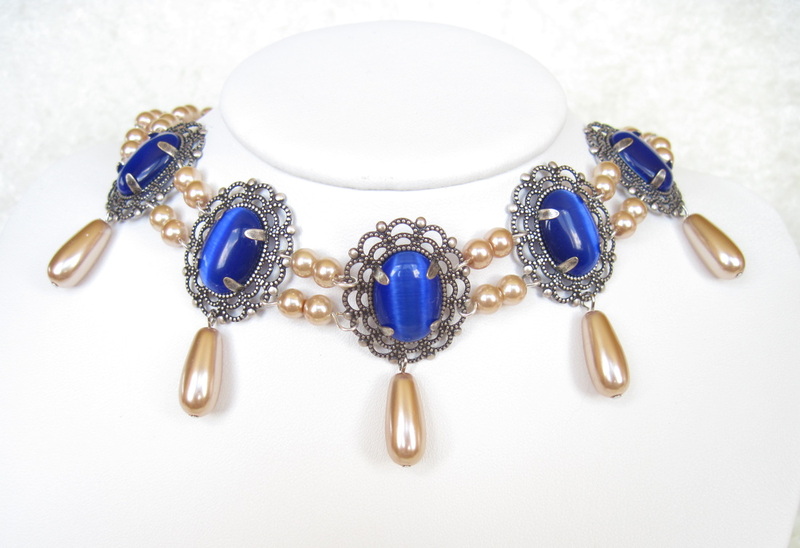 A choker fit for any princess: two strands of bronze glass pearls set off five medallions of deepest blue cat's eye cabochons in filigree settings. 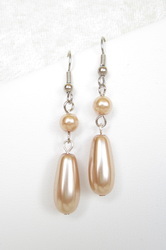 Glowing teardrop shaped glass pearls dangle from each medallion for a very special touch. 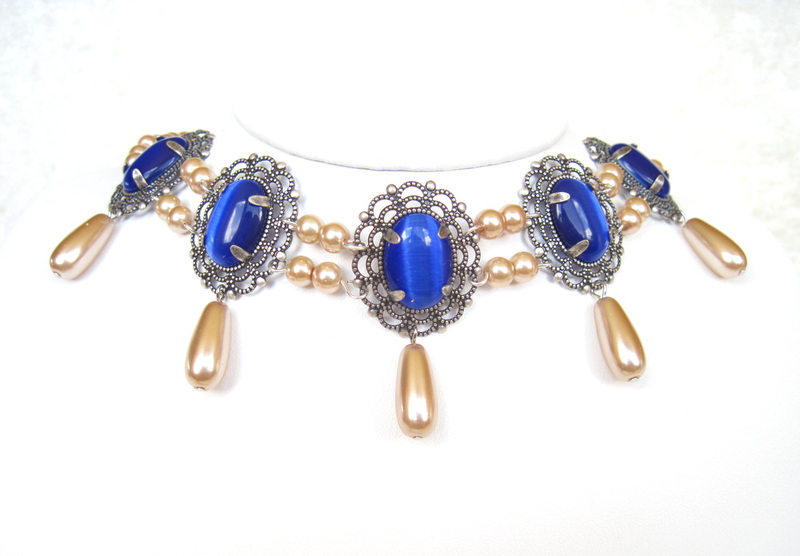 The choker measures 15"; the matching earrings dangle 1 1/4" below surgical steel ear wires. 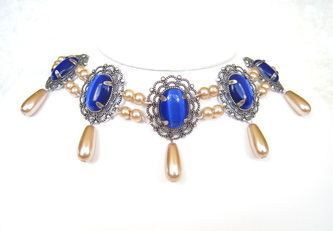 A truly Elizabethan look to complement your RenFaire finery!